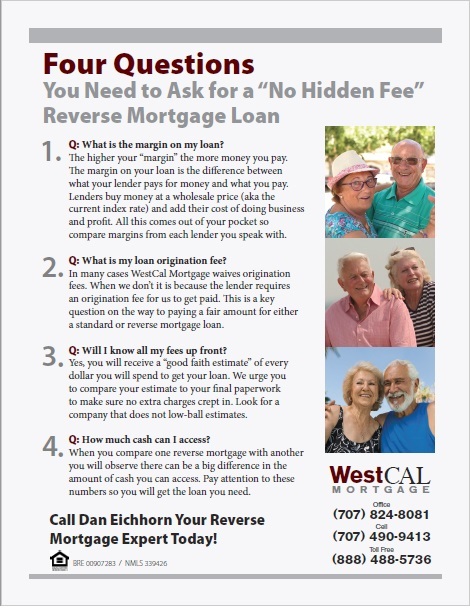 Call Dan for a FREE Reverse Mortgage Quote. Jumbo and Standard loan options available. 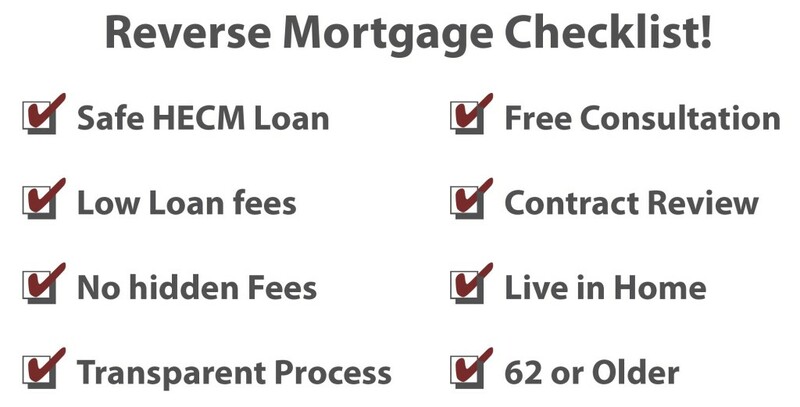 Is a Reverse Mortgage HECM Loan Right for You? A Reverse Mortgage HECM loan is like a standard mortgage product only the monthly payments are taken out of your home equity. In the past a few unethical lenders offered products outside of Federal Housing Administration (FHA) standards and a small number of borrowers were burned. This led to widespread mistrust, and a lot of misinformation about Reverse Mortgages. Today, abuse of this financial product rarely happens. Still, there are certain loan fees it would be good for you to know about because they can add up to thousands of dollars out of your pocket. Download the free Pdf (at right) to see what questions to ask your lender to save you money. HECM stands for: Home Equity Conversion Mortgage and is FHA language for a reverse mortgage loan. This product allows a borrower to convert home equity into income, a line of credit or to pull cash out of their home. WestCAL Mortgage offers FHA insured HECMs; a safe, secure loan that lets you access your home’s equity for your funding needs. We also offer Jumbo Reverse Mortgages above FHA limits. The HECM is available as either an adjustable or fixed-rate loan. With the adjustable rate, the rate is adjusted monthly or annually based on the LIBOR (London Inter Bank Offered Rate). The fixedrate HECM maintains the same interest rate over the life of the loan. .
• You must still live in the home as your primary residence, continue to pay required property taxes, homeowners insurance and maintain the home according to Federal Housing Administration requirements. • Your current mortgage, if any, must be paid off before obtaining any funds from a HECM loan; you can use proceeds from the HECM loan for this purpose. • If your home needs repairs to be eligible for a HECM loan, you may be able to use the proceeds of the loan to accomplish this. property taxes, homeowners insurance and maintain the home according to Federal Housing Administration requirements. you can use proceeds from the HECM loan for this purpose. proceeds of the loan to accomplish this. Loan repayment is not due as long as you meet the loan obligations such as living in the home as your primary residence, continue to pay required property taxes and insurance, and maintain the home according to FHA requirements. You or your heirs will not be required to pay more than the value of your home at the time the loan is repaid; even if your loan balance exceeds the value of your home, provided you or your heirs decide to sell the home. You will not lose your home to the mortgage company. Any remaining equity goes to you or your heirs once the loan is repaid! 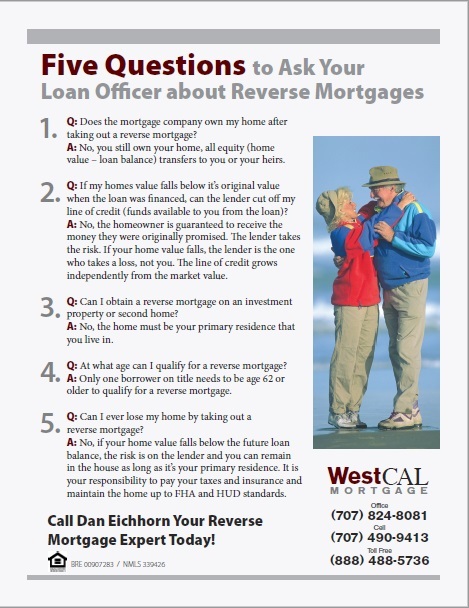 Call Dan Eichhorn – Your Reverse Mortgage Expert Today! 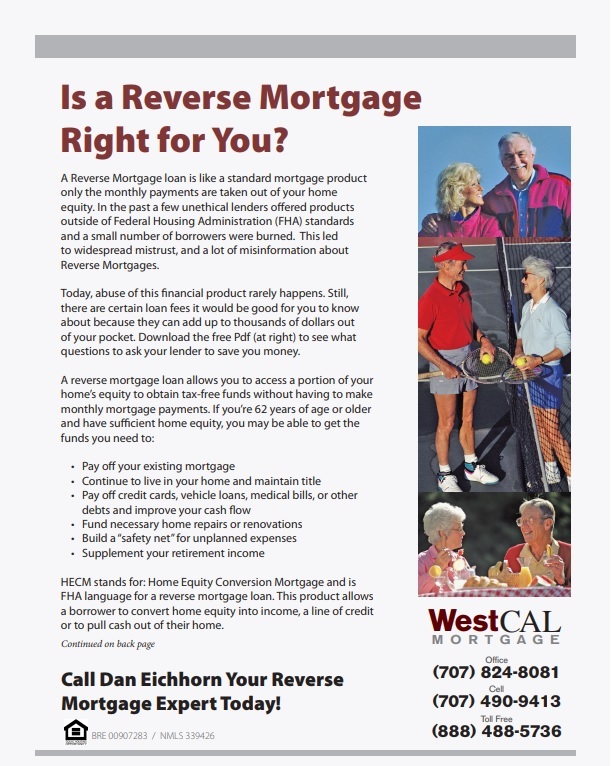 Contact us today to see if a reverse mortgage is right for you! Your Reverse Mortgage Expert Today!